Another Dskon feature that i like is that it compile all of your favourite brand webstore in one place! 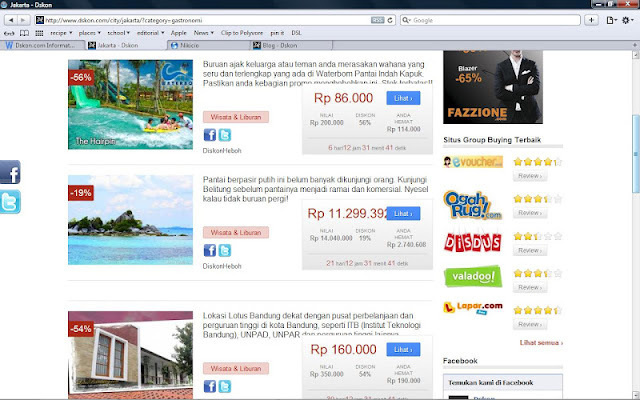 So you can scroll through various categories like fashion, leisure / holiday, gastronomy delight, till the latest gadget. Well, you wouldn't want to miss its curated fashion webstores page for sure! From local brands like Picnic, June+Julia, until overseas street fashion store such as Romwe and Urban Outfitters. 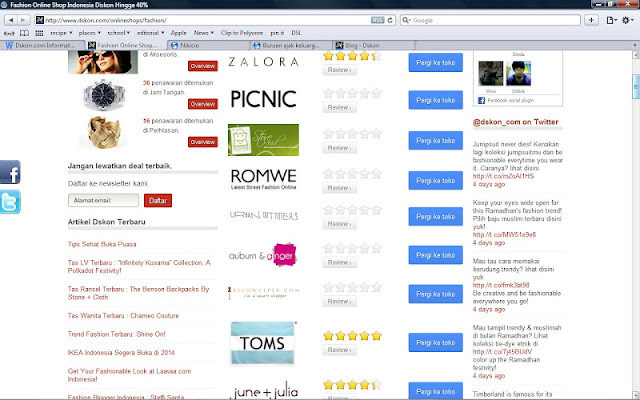 Each fashion store page also has its own description and review / rating where people can write their opinion about the brand. Furthermore, Dskon also has a blog the mainly discusses about useful tips and latest fashion news that you, as fashion conscious people, would not want to miss. With Dskon, online shopping has never been easier and interactive. So if you're curous, go find your latest deal today at Dskon.